Due diligence is crucial to any business deal, and, thankfully, due diligence research has come a long way over the years. What used to be a cumbersome, time-consuming process has been standardized and systemized with generally accepted auditing frameworks and tools, such as the all-important auditing “checklists.” But when it comes to doing due diligence in China, with its opaque regulatory system and byzantine accounting standards, all bets are off. 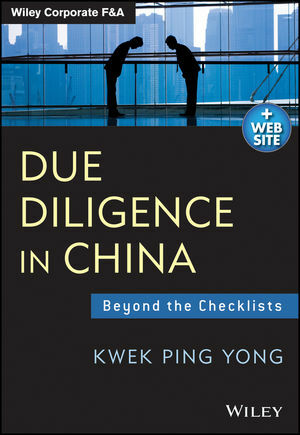 In this book an acknowledged expert in the field takes you beyond the checklists to arm you with China-specific due diligence strategies, tools and techniques that go beyond what is typically part of the process.